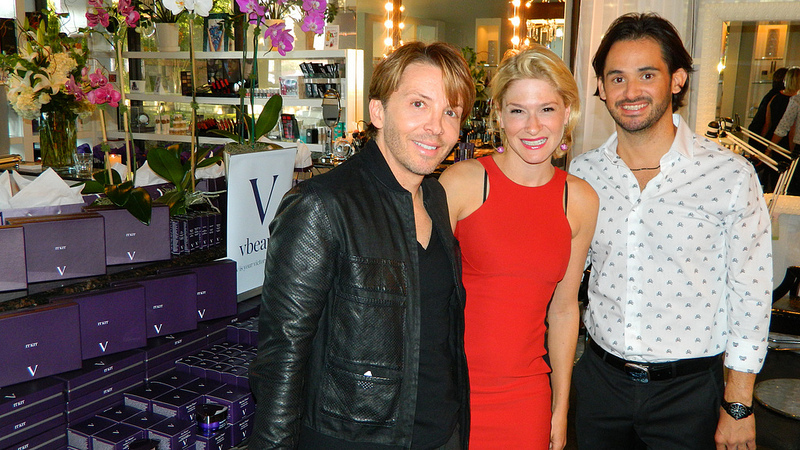 On September 19th, Therapy Hair Studio opened up their doors to host Julie Macklowe and all of their clients for the launch of Vbeaute’ skincare line in Houston. The clients got to test the serums and creams to see what makes this Swiss luxury skincare line so different. The products are produced using stem cells of the Alpine Rose plant and are formulated to protect your skin from UV damage. They also help prevent the cycle of aging by using Alpine Rose Botanical Technology and other special formulations unique to the Vbeaute line of skincare. Make sure to stop in and sample these amazing products and while you’re there consult with a Therapy makeup artist, to help you with all your skincare and makeup needs.